Research conducted by Monarch Investments Group revealed that approximately 30 per cent of the cost to produce new house and land packages in the South West is dedicated to tax. Monarch said that taxes for an average sized house and land package include GST of $65,909, stamp duty of $26,813 and Council and state contributions $30,500. “There are several measures that the government could be doing to make housing more affordable for the younger generation," Monarch CEO Peter Icklow said. "These include reducing GST on new houses, perhaps placing that shortfall of revenue on all houses and lowering stamp duty as well as reducing infrastructure levies. Supply also needs to be addressed and the time for approvals needs to be reduced considerably. “Ten years ago in Macquarie Links Estate a house and land package on a 800 square metre lot was $700,000, today it is over $1.1 million for the same size home. "The tax percentages have remained the same however, with the increase in land and house prices the amount the government is pocketing is vastly different. "They are billions of dollars richer from the capital growth in property and land," he said. Mr Icklow said after developing land for over 60 years, Monarch have noted the biggest change to the industry is shrinking land lots. "Ten years ago the average sized lot in Macquarie Links was 800 square metres, today in The Meadows we are building triplexes on 180 square metres," he said. "Land is simply too expensive. We are building smaller lots to meet purchaser demand. “The first home buyer market is alive and well in the South West. In recent years, we have witnessed first home buyer city dwellers renting apartments now moving into the suburbs. "They are after space to raise children and good infrastructure and facilities. "The South West is providing this with billions of dollars being spent in the region from both the private and public sector,” Mr Icklow continued. 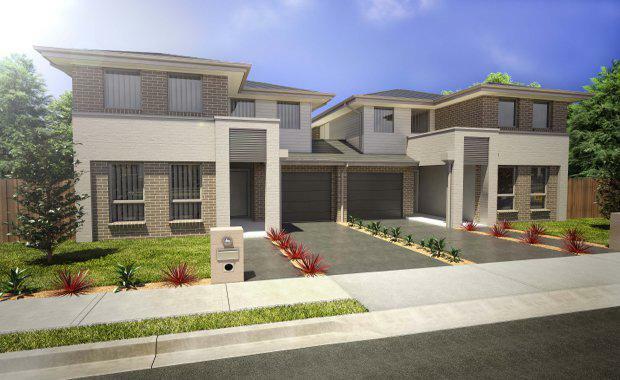 “In our current project The Meadows in Bardia and completed Ingleburn Gardens Estate, first home buyers are leading the purchases. ""We are finding that downsizers from inner city locations that have built up good equity are also now starting to move out. "Many people are selling homes worth around one to two million, purchasing a new home in the South West for around $700,000 and then using the excess for holidays or hobbies," he said. The Meadows is located directly beside Monarch’s Ingleburn Gardens Estate and across the road from the company’s first flagship development in the area, Macquarie Links Estate.